It’s hard to say, you see. But I guarantee they are factual. To me it’s like a sweet surprise. Just one will last me quite a while. It’s one example of heavenly bliss. It’s easy to say, you see. 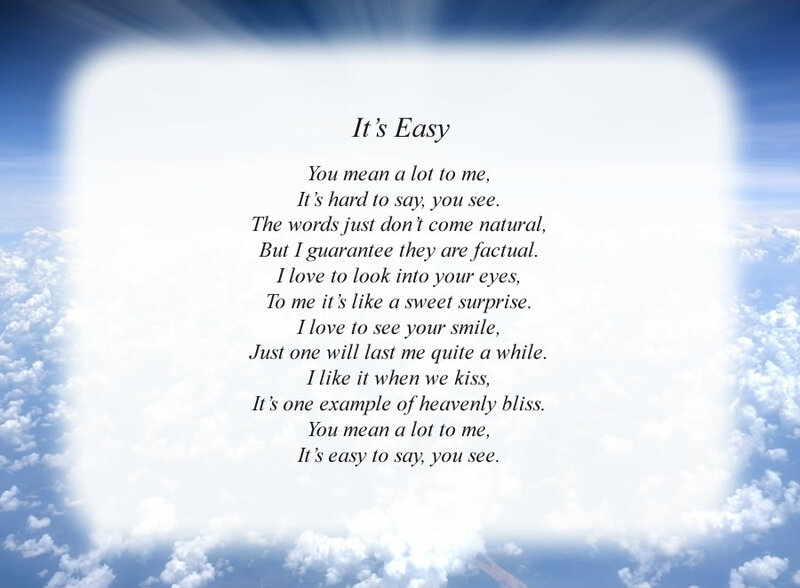 The poem, It's Easy, is free and printable by opening or downloading using one of the three links below.